Florida divorce law allows spouses to request temporary needs and relief pending the final disposition of their divorce case. If one spouse is dependent on the other spouse for support or there are issues involving time-sharing and support of children, it’s wise to file a temporary needs motion and schedule a temporary needs hearing early in the divorce process. Timing is critical, because a contested divorce case can take a year or more to resolve. Failure of a party, or the party’s attorney, to file a motion for temporary needs early in the process can detrimentally impact the party who needs temporary relief. To request temporary relief, a party files what is called a “motion for temporary needs and other relief.” After the motion is filed, the party who filed the motion, or the party’s attorney, contacts the opposing party or opposing party’s attorney and the court to schedule a hearing. In Jacksonville, Florida it typically takes between 60 to 90 days from the date of scheduling before temporary a needs motion will be heard by the Court. In high conflict divorces parents often experience difficulty determining holiday time sharing and when each parent will spend time with the children. A court order time-sharing schedule, even temporarily, can have a positive impact on the children and parties. There tends to be less conflict with a court order in place. A child support order established early in the process through the temporary needs process can provide much needed stability for the children by ensuring their basic needs are met. If one spouse earns the majority of the income in a marriage, a temporary alimony is critical for the other spouse to pay bills and provide for necessities while a divorce case is pending. To place spouses on equal footing during the divorce process, a court may award a spouse who earns significantly less income or has significantly less assets than the other spouse attorney’s fees and costs. The availability of temporary needs can come as a revelation to spouse who doesn’t know how they will support themself during the divorce process. It’s good to know that help may be available under certain circumstances. 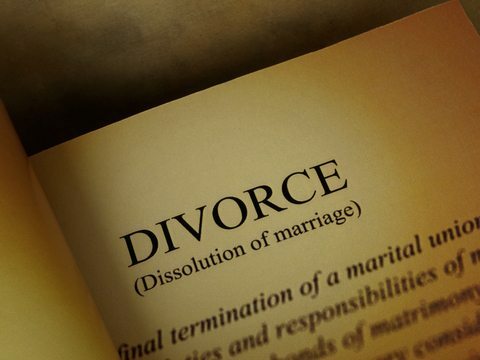 If you have questions about temporary needs in Jacksonville, Florida divorce cases, or divorce or family law, call your Jacksonville, Florida divorce attorney, Christopher (“Chris”) Taylor, at 904-339-5298 or contact Chris through this website. After a motion for temporary relief is filed, how long does the opposing counsel have to respond or take action with this motion or does it go straight to court and I cannot do anything about it? It depends on the facts of the case and your Circuit Court. I recommend consulting with a family law attorney in your area.